Isn´t there a better way to store sensitive automotive parts than non-stackable, extremely unstable and moisture-sensitive cardboard? This question also came to Thomas Walter, project manager at bo parts, an automotive spare parts supplier, who has to guarantee the safe delivery and, therefore, the safe storage of dashboards for BMW for 15 years. 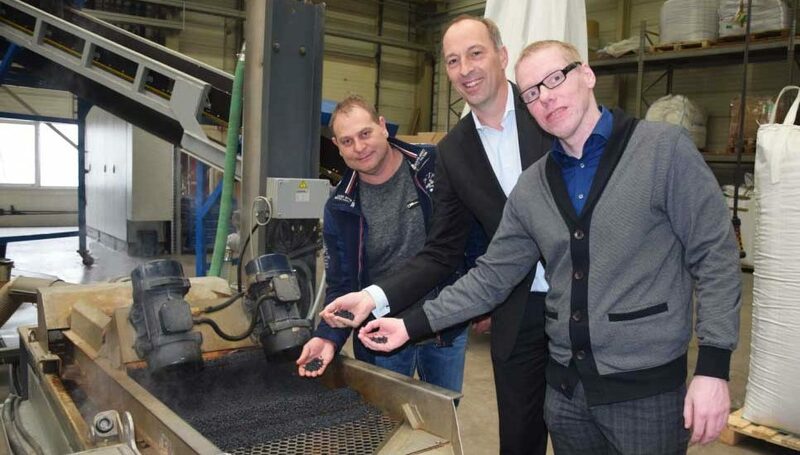 Bo parts found the answer at Thuringian packaging specialist friedola®TECH, who designed and delivered customized, durable and safe special load carriers for the 1,800 automotive parts. The joint success story started in 2016, when friedola®TECH showed bo parts how they could store their products safely and efficiently. Before starting the collaboration, there was an important question for bo parts and BMW: Spare parts production following the serial production or new, as needed? The OEM decided for production of a replacement parts inventory. As a result the company depended on durable, strong packaging for safe storage of the highly complex and sensitive components. “friedola®TECH is very well known as a packaging specialist and we have already had good experiences with Con-Pearl® containers”, says Thomas Walter, project manager at bo parts, “a further advantage of working with friedola®TECH was the proximity of our locations”. During the first visit of the packaging specialist at bo parts in Sontra, they analyzed the requirements for the containers or rather looked closely at the deficiencies of the previous packaging: The previous metal case was neither dust-tight, nor light-proof and would also not have been economically feasible because of its high acquisition costs. “Cardboard would also have been unsuitable for the long-term storage, because the material is fragile, not stackable and not weather resistant”, explains Thomas Walter, “the sensitive products would not be sufficiently protected and could change their shape due to climate changes. Many disadvantages, which Con-Pearl® packaging doesn´t have”. For the development of the individual containers, bo parts sent the CAD data of the instrument panels to friedola®TECH. 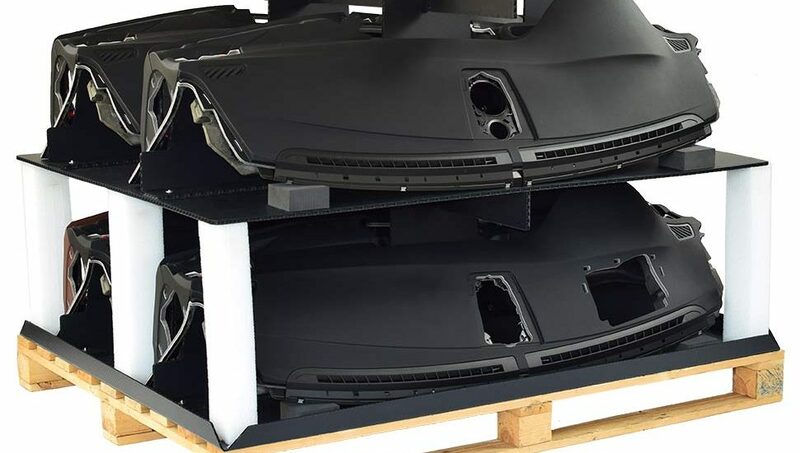 The packaging manufacturer´s application engineers designed a concept for the individual load carriers with basic dimensions of 1,700 x 1,300 mm – for two automotive parts to perfectly fit side by side. “The designed load carrier contains dunnage made of Con-Pearl®, which fits the stored automotive parts with millimeter precision, and provides additional support and stability. Together with additional supporting elements such as foam blocks, the deformation of the auto parts is completely prevented”, explains Thomas Bachmann, Key Account Manager at friedola®TECH and contact person for bo parts. “Additional Con-Pearl® pillars surrounding the automotive parts serve as support for a second level with compartments. Therefore, four automotive parts can be stored safely in just one container. This container, in turn, can be stored in block storage 3 on 1, perfectly using the available storage place,” he explains further. That sounded perfect for bo parts, too – and a sample was made according to this concept. The prototype had to undergo a climate cycling test. This test simulated long-term storage under various weather conditions – testing that the Con-Pearl® box withstood without any problems! After the test some small optimizations were made and serial production started. The reusable containers were picked up at friedola®TECH as needed for loading and storage of the component parts. We want to meet the increased market demand for high-quality PP recyclate with our new plastic recycling plant “Erema”, which was put into operation on April 3, 2017 at the location in Leinefelde-Worbis. The new machine is able to process even heavily printed films into premium PP compounds – more efficiently, with better product quality and double the production capacity! We can now offer larger amounts of our highly demanded “Basic” products, that our customers use to manufacture flower pots or roof sheeting, for example. A better quality makes the package complete. The production waste will be reduced by more than 50 %. We expect a higher output of the machine as a result. “Furthermore, the plant allows special settings for filler materials and flow properties according to customer specifications. This was only possible with an additional production step before.” adds Uwe Eberhardt, who campaigned for the investment and motivated management to make this acquisition. After the successful project engineering by Siegfried Herz, CEO Dr. Matthias Stein has now handed over the plant to the Division Head Compounds Uwe Eberhardt and the Production Manager Norbert Gunkel. The new plant replaces the previous „Erema“ at the location. We have four extrusion lines, two material processing plants and one injection molding plant for load securing wedges in Leinefelde. Hundreds of new contacts at the FachPack and IAA Commercial Vehicles! Eight exhibition days at two trade fairs and hundreds of new contacts – we look back to the successful attendance at the FachPack and IAA Commercial Vehicles und we say “THANK YOU” for your positive feedback! 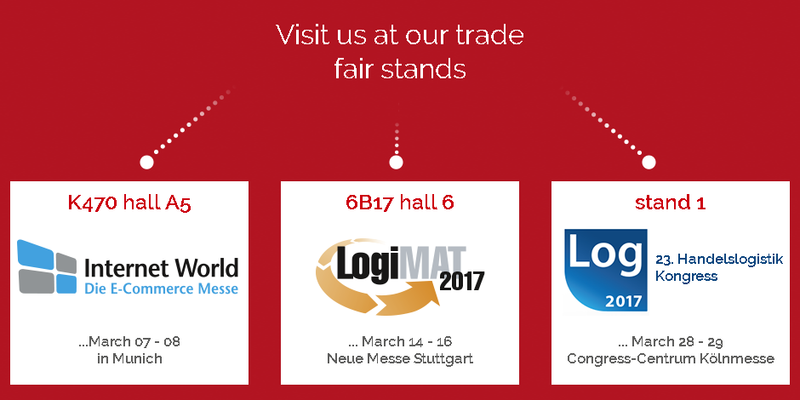 With about 200 contacts, this year´s FachPack was even more successful for us than in the previous year. The proportion of about 90 % new contacts is especially pleasing. Our visitors came from many different countries and business sectors and where interested in the whole range of our collapsible bulk containers but particularly in the Light TECH Box™ and Pallet TOP Box™. At the IAA Commercial Vehicles, our Con-Pearl® tower was a magnet for visitors. Besides our traditional customers such as OEMs or suppliers, we could get international buyers of new sectors enthusiastic about our van floorings and van liners. Examples are manufactures of mini busses or caravans. Our products were even in demand for lining portacabins and mobil homes. Besides the future e Trucks, our personal highlight as a visitor on the IAA Commercial Vehicles was „ZF Innovation Truck – 360° Virtual Reality“ – a 360-degree virtual reality video, that took us on a trip to the future of commercial vehicles. In this mobile world of the future, vehicles seem to be able to see, think and act. Crazy and fascinating, what these intelligent systems are able to do. From modifications of the previous logotype, to the fanciest of ideas, to the final logo – this video shows how the new Con-Pearl logo emerged from a multitude of our ideas.